There’s no better time to write than when you’re waiting those excruciating hours in an airport so here I am. 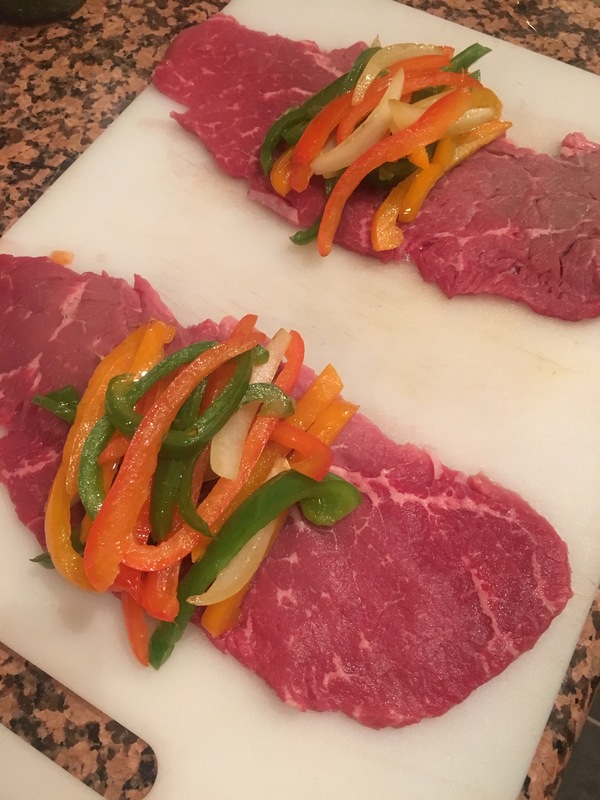 Before I left for my trip, I had two thin strips of steak and lots of peppers that needed to be used before I left so I got creative and made steak fajitas a little different. Eating food you enjoy can be less of a guilt trip if you honestly try to make small substitutions that are healthier and make you feel a little less of a tub of lard so I cut the cheese, tortilla wrap and those oh so nasty seasoning packets sold at the store. 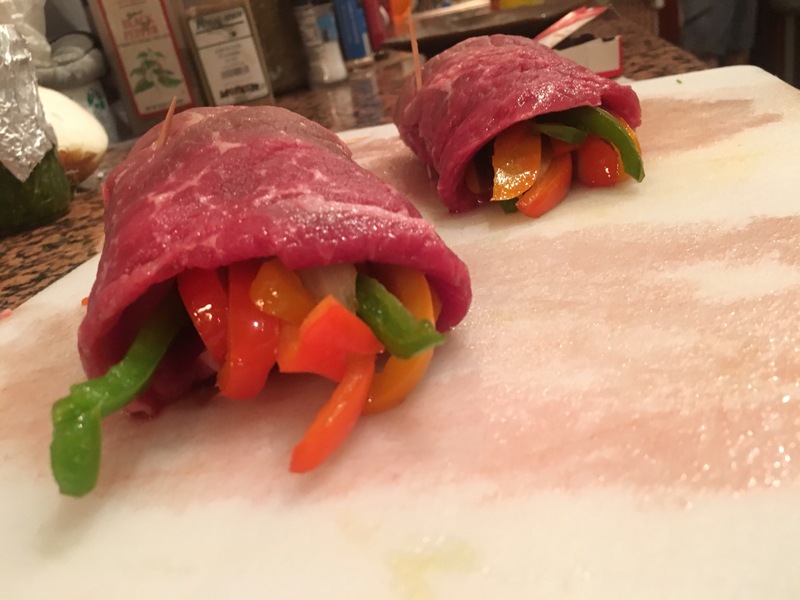 The roll ups (for a lack of a better word) still have all the flavor of a regular fajita without the extra things that deam this dish “unhealthy”. 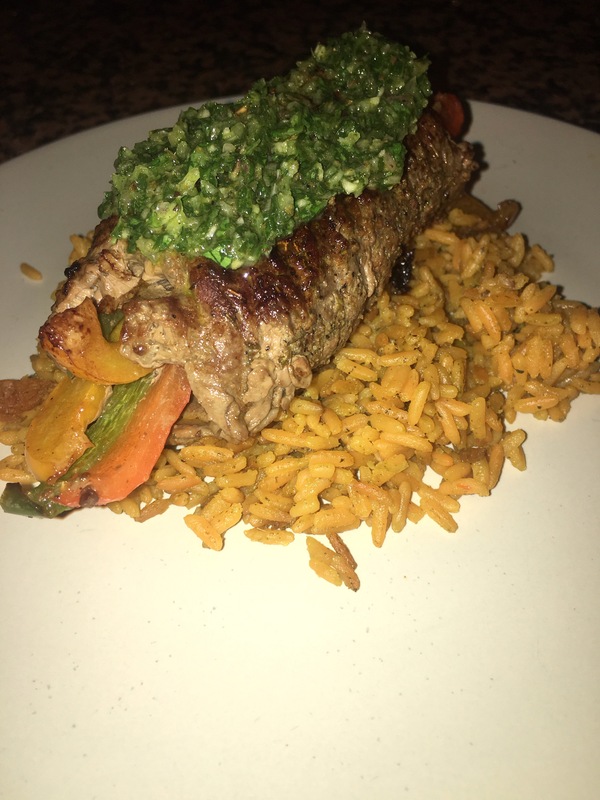 My boyfriend is certainly my Guinea pig when it comes to trying new recipes and new ideas and he absolutely loved this one. 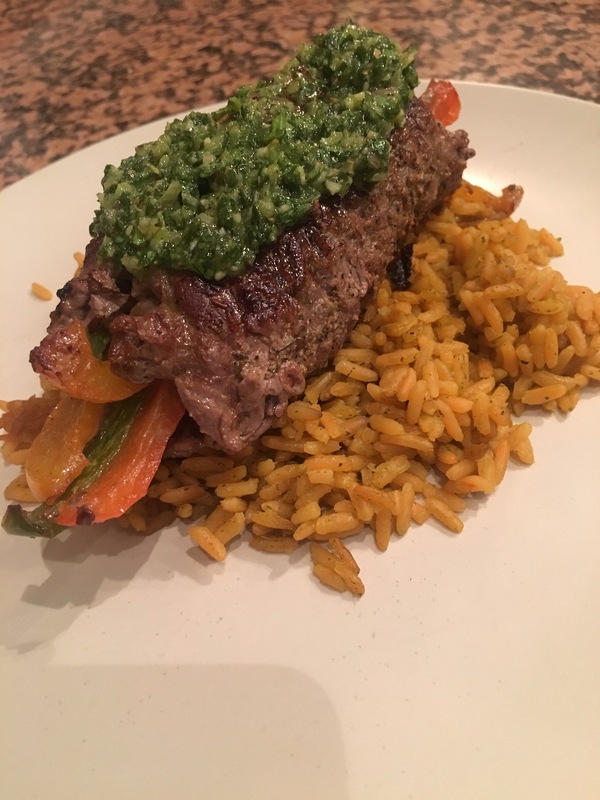 Rember that little chimmichurri recipe I posted last week? Well here is a PERFECT opportunity for you to use it. Now, what to do what to do? In a large pan, heat 2 tbsp of oil over medium high and sauté your veggies for 5 minutes or so to make them slightly tender but still crunchy. While they cook, lay your steaks out on a cutting board and lightly salt and pepper the upside of the steak. 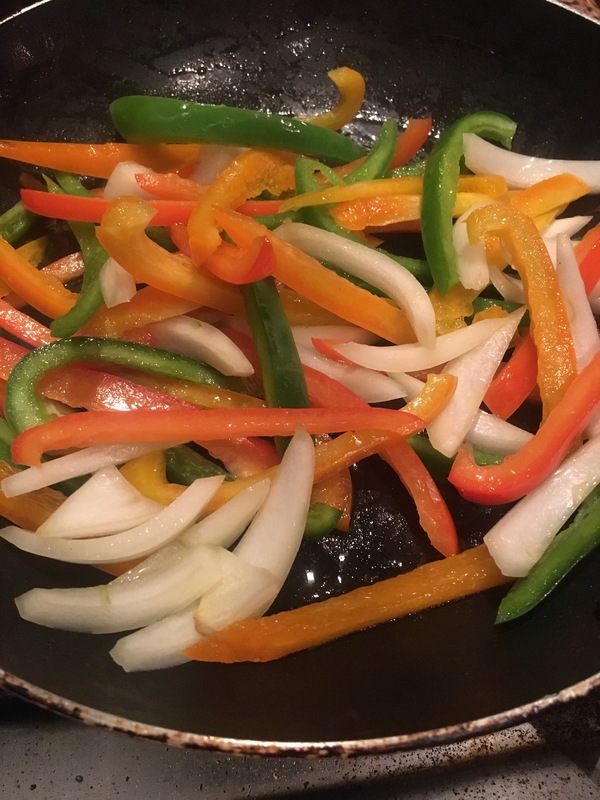 Once your peppers are slightly cooked, take the, off the heat. Let them cool for 5 minutes and split them in half. Place the peppers in the middle of your steaks in a little pile. Begin to roll your steaks tightly around the peppers and use a tooth pick to keep the meat together. Once tightly rolled, sprinkle your new home made seasoning evenly on the top and side of your rolled meat. Don’t over do it, just enough to lightly coat your meat.